The template helps with Influencer Marketing, and idea that is fairly simple: find popular people that your target audience follows, and get them to recommend, comment upon, or use your product. 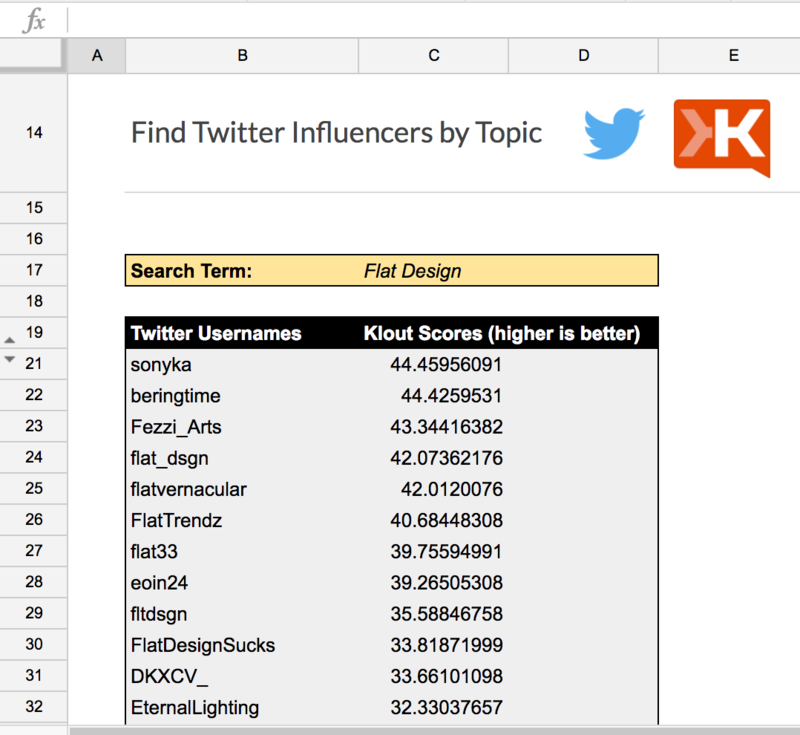 Specifically, it can help you identify the top Twitter influencers within a topic area using Klout’s ranking. The template is deliberately simple, but has served as a good base to survey various related topic areas, such getting an estimated social reach or quickly summarizing the sort of content being shared by these influencers (let us know if you want to give it a try!). Once you’ve identified influencers, you can Tweet at them or use of some the other tools in the Blockspring arsenal to discover influencer’s email addresses and other contact information.